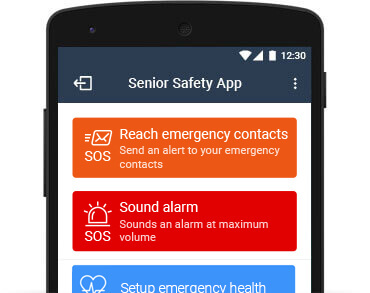 Senior Safety App has been designed to meet the needs of our user base. The application has evolved for years with 1000s of users writing to us about their experiences. The SOS feature includes 2 options. The request help feature sends out a text message and email to the configured emergency contacts. The sound alarm feature raises a maximum volume alarm with an easy option to call the emergency contacts. Quick access to help gets seniors the attention they need without precious time being wasted. 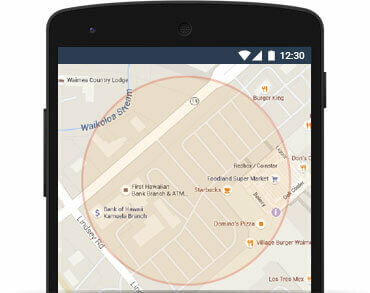 SOS messages are sent out with the real-time location to help you reach the device user quickly. Falling unexpectedly and receiving no timely help is a nightmare nobody should go through. Senior Safety App fall tracker was created for the explicit purpose of tracking falls and informing the app owner when the device user needs help. Fall tracker can be configured at high, medium or low sensitivity, thus customizing tracking engine to the users lifestyle and minimizing false alerts. 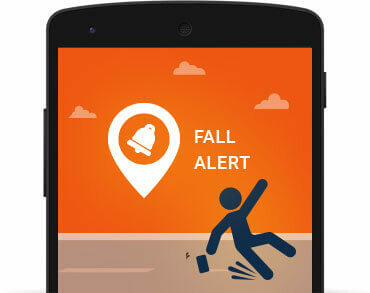 Fall alerts come to your email with the current location of the device. Knowing when the device enters and leaves a certain geographical area like a neighborhood, workplace, street or even a mall is useful to ensure that seniors get their exercise, make it to their doctor appointments or just maintain a healthy lifestyle. Senior safety app keeps a tab on how many times the device user visited a certain address and tracks both the route and speed of the user. Monitor the location of the device 24/7 with the speed, elevation, and bearing. Review 90-day location history. Most smartphone users check their emails or messages at least once in a few hours. If they miss doing that it could point to something being amiss. Configure the Senior Safety App to alert you in case the phone remains inactive for a long period of time. Every alert is sent with the device location so that help can be rushed quickly. 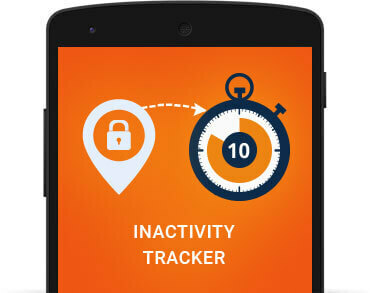 You can pick any time interval between 1 and 12 hours of inactivity for the alert to be activated. Cell phones have become an integral part of not only our communication system but our integration with families too – often the cell phone is the only point of contact with a close family member. Not being able to reach the phone when needed can be both stressful and unnerving for you. The most common reason for a phone to be offline is the battery going out. 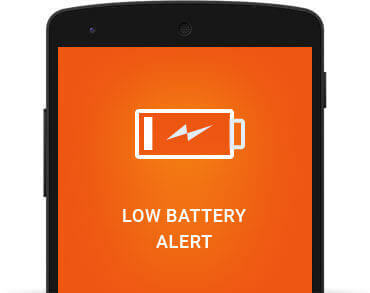 Configure the Senior Safety App to send you an alert if the battery is close to running out. The app lets you pick from options between 5% and 25% to get an email when the battery is low with the location of the device. This feature also helps seniors find their devices when they are lost. Scams targeting seniors have proliferated across the world. The worst part is that most of these scams are perpetrated by criminals who do not fear the local law enforcement. Millions of dollars have been stolen from unsuspecting seniors who assume the criminal on the other end of the phone is trying to help them either make a lucrative investment or saving them from trouble. 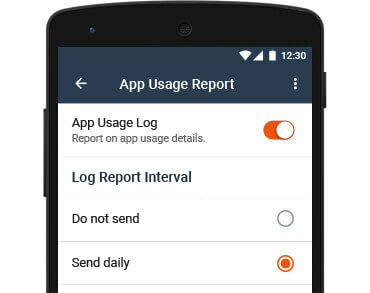 A simple daily report shows you Apps Usage, Locations visited and Alerts. Login to the control panel to review a complete history of phone usage with 24/7 location tracking going back upto 3 months.